On December 27, 2016, Carrie Fisher passed away. She was best known to the world as Princess Leia from the Star Wars series. That too is how I discovered her when I was about 10 or 11 years old. Oh, how I loved that character. Not your typical princess, she was strong, witty, independent. I wanted to be like her. Years later I find it amusing how I found myself not wanting to be like Leia, but like the woman who played her. When I was 23 almost 24 years old, after years of serious “mood swings” and a very alarming manic episode, I was diagnosed as bipolar 1. A scary diagnosis. All that I knew of bipolar disorder is what had been portrayed in the media. I had a great support system with my husband, mother, father, sister, psychiatrist, and some friends, yet I still felt very lost. Very alone. I knew no one who was “like me.” No one who really understood what being in my head felt like. So, I began searching. In my search, I found that the woman who played the princess that I idolized so much as a child was bipolar too. 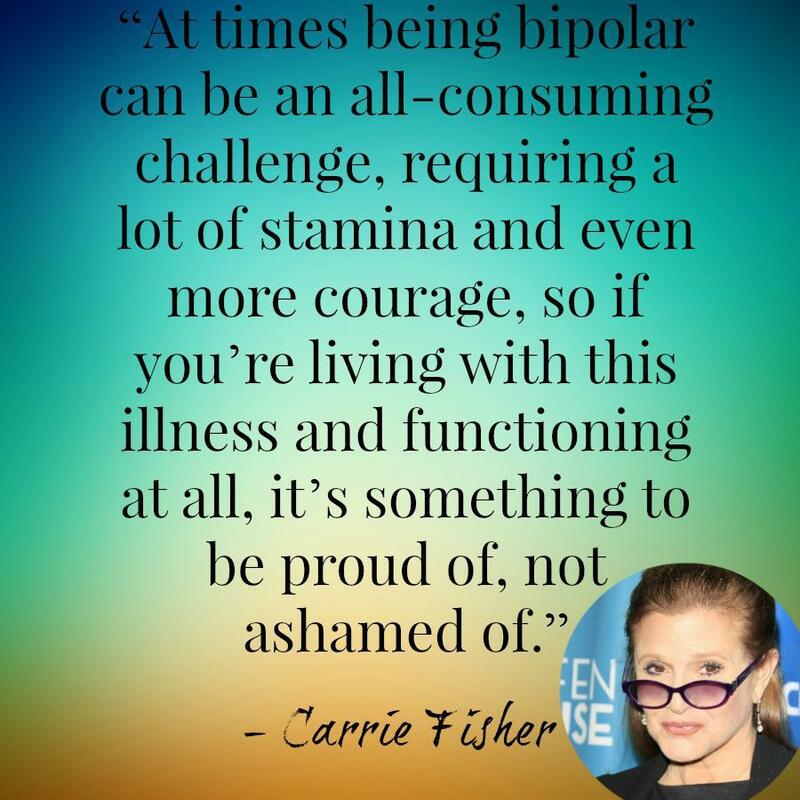 Not only was she bipolar, but she wasn’t ashamed to be bipolar. She owned it. She was proud of it. She was a mental illness advocate and fought to shut down the stigmas that surround it. She had a kind of courage that gave me hope. Coming out as a person struggling with a mental illness is not an easy thing to do. There is a huge misconception as to what it means to be bipolar, or mentally ill in any of its forms, in part due to how the media portrays it. The stigma that surrounds any mental illness certainly doesn’t help the sufferer feel comfortable seeking help or having open discussions about how it affects their life. Carrie Fisher fought for us. See, I could get up in front of thousands of people and shout the same things she did until I was blue in the face, but no one would take the time to really hear me. After all, they don’t know me. I’m just some random work at home Mom to them. But people “knew” her. They respected her, loved her character, and even loved her in a way. When she spoke, people listened. I am so thankful for the voice that she gave to people like us. Her interviews, her stories, her books, they inspired me. More importantly, they helped give me the courage to fight this thing and to live my life. She helped give me the strength to continue on and not let my diagnosis consume me. In the days since her passing, I have seen several articles similar to this. People suffering from mental illness, not only bipolar disorder but others as well, expressing their gratitude for what she had done for them. I wonder if she knew how much she meant to us. To us, she wasn’t Princess Leia. She was Carrie Fisher, advocate, stigma fighter, mental illness warrior, and I know we will forever be thankful. If you or someone you know is suffering from a mental illness, or maybe just need some extra guidance, please know there is no shame in seeking help. With the right support and treatment, we can live fulfilling lives. Stay strong, stay brave, you got this. 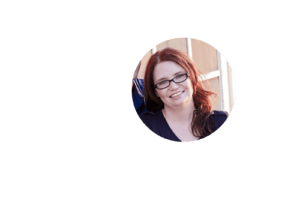 Katherine Cook is a work at home Mother of three amazing boys. 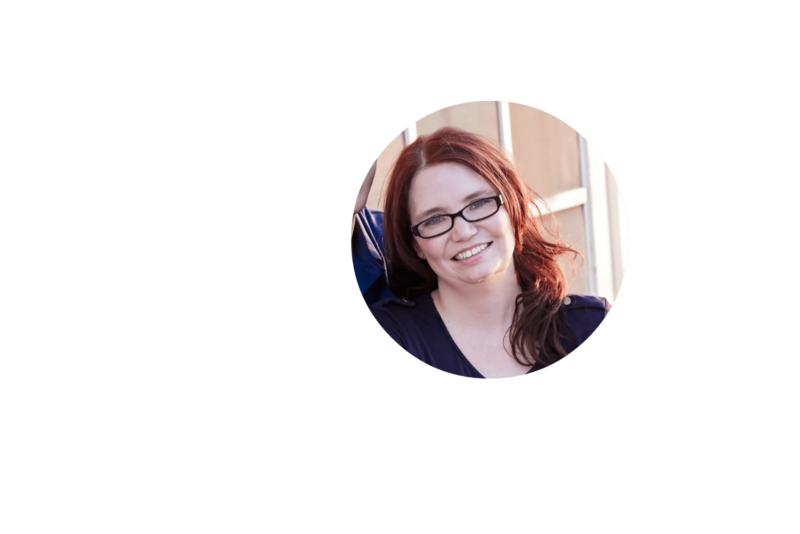 She enjoys her work blogging for various types of businesses. Katherine was diagnosed as bipolar 1 around nine years ago and has recently started sharing her journey and struggles with others in hopes of helping to end the stigma surrounding mental illness.